The end of the school year will be here before we know it. This time of year is always a bit more stressful than the beginning of the school year. The brand Nike has a motto that says, "Walk to the stadium. Sprint to the Finish." I can't help but think about how we walked in the doors in August and now as we can see the finish line. How will we finish the school year? Will you finish strong? Do you have the endurance and perseverance to finish the year with the same motivation and drive as you did in August? Stay committed and focused as you move closer to the end of the school year. If you expect your teachers to work hard and produce high scores, you're going to need to lead by example. There is no greater motivation than seeing the boss down in the trenches working alongside everyone else. Hard work is done on every level. 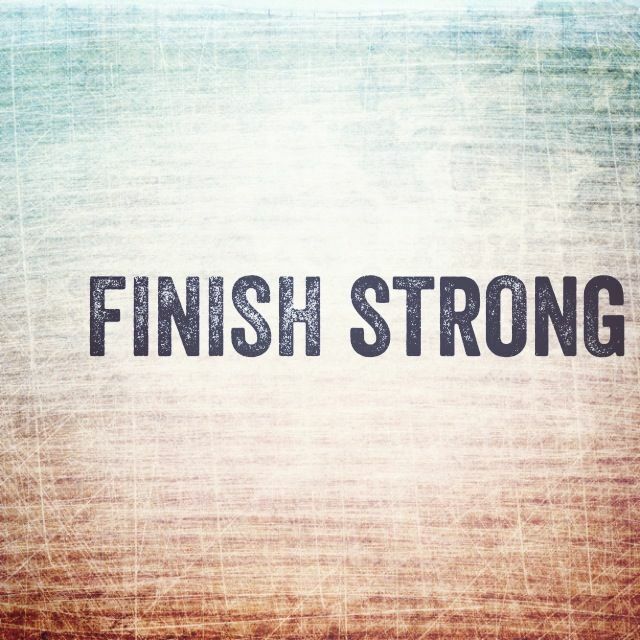 How will you choose to finish this school year? You might have stumbled on unexpected obstacles or been battered with a difficult class or group of students or faced difficult challenges with parents or staff members. Remember, it's not our circumstances that define us. Instead it's how we respond to them. Turn your stumbling blocks into stepping stones. The choice is yours...Finish Strong!